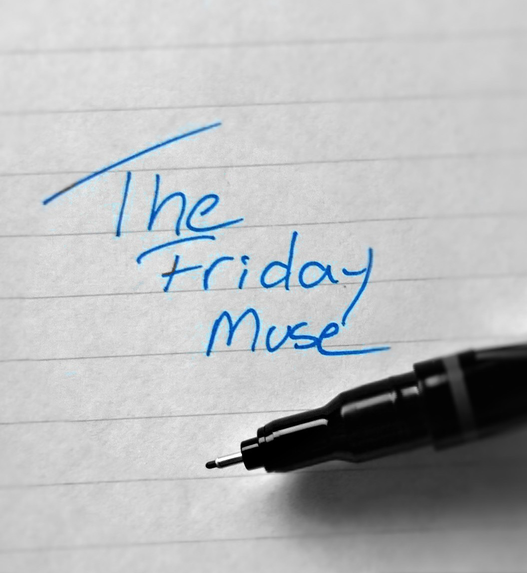 I didn’t realize it’s been months since I last did a Friday Muse post. I’ve been getting settled back here in Arizona, and it’s taken me a while to show this blog some love. But, here we are, and I have another snippet of fiction for you guys (and gals). In the coming weeks I’ll be dropping some info on the fiction projects I am working on. I have some short pieces I need to write up for an upcoming anthology, and I want to return to Salt & Lyte and completely overhaul the manuscript draft I was working on last year. Anyway, here’s today’s piece, Ignite. Not sure who exactly this character is or where she fits in any of my series, but she seems diabolically awesome. Cery tried again to budge the pile of wooden beams off the lower part of her body, but they were too many and too heavy. Pinned, she knew she wouldn’t get free without Belm’s help. He had the strength to help her, the muscle to move the wood, but he lacked the will…and the love. She knew all along that he didn’t love her. That isn’t what hurt. Over the course of her life, Cery had grown to accept the fact that nobody could love someone as hideous as her. The face deformity she carried with her from her youth, from the house fire, scared everyone away. She was never surprised to find that Belm did not truly love her. What hurt was the fact that he lacked the decency to help another human being. Belm reached his hand out and stroked her cheek with his fingers. “I know. That’s what made this so easy. Bringing the barn down on your pathetic form was so easy, as is the act of leaving you here to die. No food, no water, no help for miles and miles. I’ll fly away like a crow, and you’ll stay here and die like a helpless sparrow. “Since you asked nicely, and you are a stupid, stupid girl, I will grant your wish.” Belm knelt down again and leaned in to kiss Cery on the lips. Once his lips touched hers, Cery grinned slyly. A blaze of fiery heat swarmed around Belm’s face, igniting his head in flames. He fell backwards and plunged his head into the dirt, scrambling to put the flames out. He screamed and yelled and flailed around. Cery snapped her fingers as the wooden beams pinning her to the floor caught fire and burst into ash, freeing her to stand to her feet. The pressure of the beams had injured her legs, but not badly enough to prevent her from walking. Approaching Belm, she placed her hand on his shoulder and the flames surrounding his face died out, leaving him with a head full of melted skin. “Wh…wha….what have….have….you….done,” he asked behind burnt, trembling lips. Smoke rose from his head, and Cery could feel the heat emanating off his now bald skull. She touched her finger to his chin and tilted his deformed face up toward her. “I have now made you like me. Unlovable.” She turned and walked out of the collapsed building before snapping her fingers and lighting it up in a heap of flames.